“There isn’t much to explain,” Trunks said. All of a sudden he didn’t feel well. With his limbs having repeatedly disappeared and appeared for quite a while now he hadn’t ever felt so bad. Perhaps it was because the secret was out finally. Gohan knew, and he didn’t need any more to put up a brave front. It was finally over, he didn’t need to force himself to be strong and keep going. Kneeling next to him, Gohan absorbed his words and fought against the rising panic; he had to keep his head clear. “Isn’t there anything we can do? Perhaps there’s a way to prolong your stay?” Yet, looking at Trunks painfully screwed face, the suggestion to prolong his pains and terror seemed to be absurd. 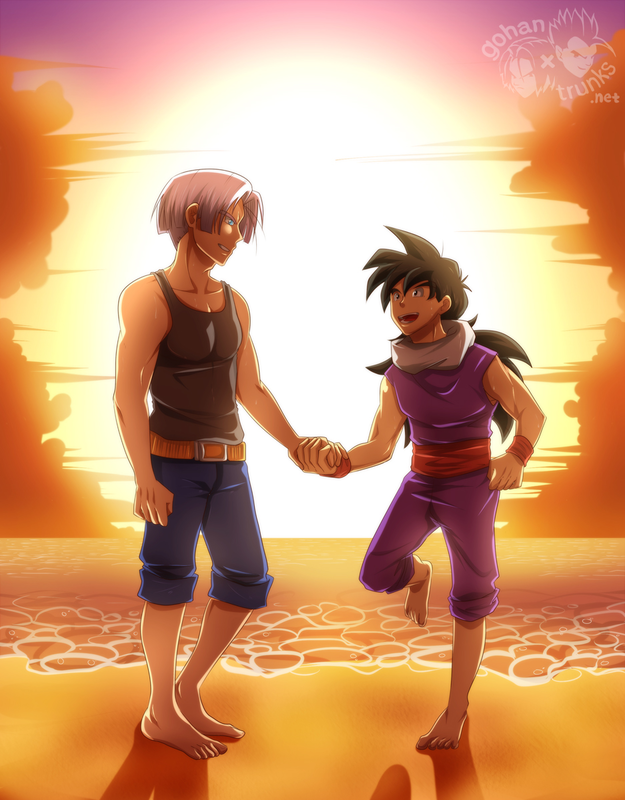 Nonetheless, Gohan noticed something flicker in Trunks’ eyes at the question. There was definitely something. “No, there isn’t anything,” Trunks said without looking at Gohan, and the other teen now knew for sure that Trunks was lying to him. “Don’t waste time and spit it out,” Gohan demanded.